Brian Plitnik has earned music degrees from Frostburg State University and West Virginia University. 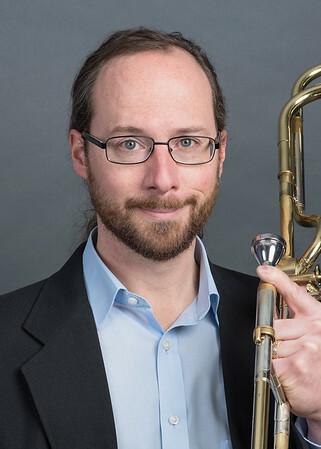 Plitnik is a Trombone Instructor and Director of Trombone Ensembles at WVU, where he completed a Doctor of Musical Arts degree in Trombone Performance. Plitnik also serves as Professor of Music and Producer of PSC Theatre at Potomac State College of WVU in Keyser, WV. In addition to performing with numerous musical theater orchestras including West Virginia Public Theatre, and the Apple Alley Players, Plitnik has performed with Emmanuel Brass, the Potomac Highlands Dance Band, the Mon River Big Band, the Morgantown Jazz Orchestra, the Maestros of Swing, the West Virginia Brass Quintet, the Johnstown Symphony Orchestra, the Wheeling Symphony Orchestra, the Pittsburgh Ballet Theatre Orchestra, and the Maryland Symphony Orchestra Brass Quintet. Plitnik has also appeared with the Jimmy Dorsey Orchestra (Bill Tole), Bobby Vinton, and Rick K. and the All-Nighters. Plitnik has performed for the acclaimed “Music at Penn Alps” recital series in Grantsville, MD, the Little Yough Summer Music Festival in Oakland, MD, the “Ivy Terrace” Music Series at Carnegie Hall in Lewisburg, WV, and at the Cincinnati Trombone Symposium. As a member of the West Virginia Brass quintet, Plitnik has performed throughout the state of West Virginia, from the campus of WVU-Parkersburg to an annual Holiday residency at the renowned Greenbrier resort. Plitnik has served as a Brass clinician and conductor in Pennsylvania, Maryland, and West Virginia, and has published in the Journal of the International Alliance for Women in Music. More recently, Plitnik has served as a Low Brass adjudicator for West Virginia All-State band and orchestra auditions, as a solo competition adjudicator at the Big 12 Trombone Conference in Lubbock, TX, and serves as summer faculty at the Mountain Maryland Music Institute at Garrett College in McHenry, MD.